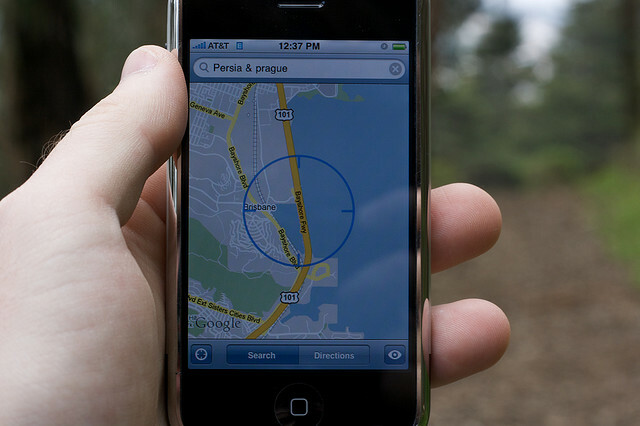 There’s no shortage of apps on modern day smartphone platforms that allow you to find out the location of your friends and family, both Apple and Google have released Find My Friends and Latitude respectively. However, the apps require the person you wish to locate to have installed them, which is limiting if they haven’t installed it yet or their smartphone or tablet runs on a platform that doesn’t support the necessary tool. Aaron Iba, an iOS developer, has sought to make it easy to locate friends and family, regardless of the smartphone they use. 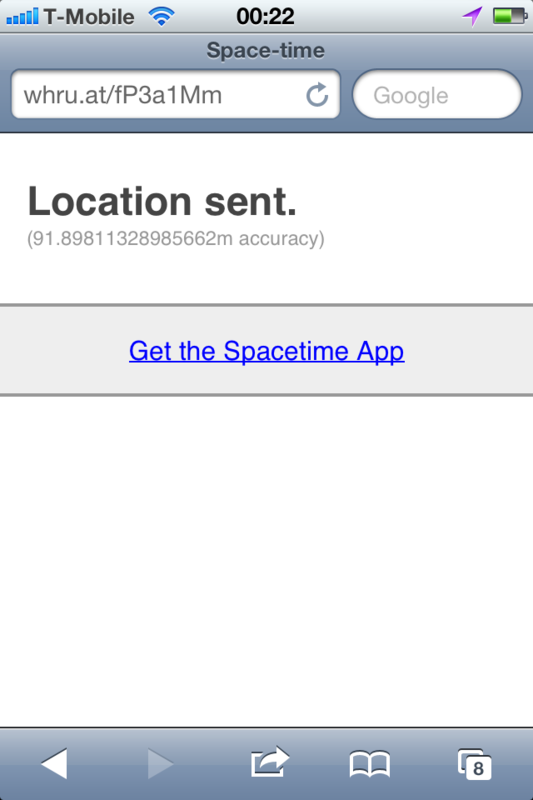 Space-time is an iPhone app with a simple interface that uses SMS and HTML5 location to pinpoint a person’s whereabouts, as long as they have a smartphone with a GPS locator and a modern browser. When I say it’s simple, it’s just a case of clicking the “Request Someone’s Location” button, choosing a contact and then sending a text message (or iMessage if they also own an iDevice). The recipient receives a customized link and all they have to do is provide permission for the HTML5 web app to pinpoint their location. This completes the process and the location is then sent back to you. 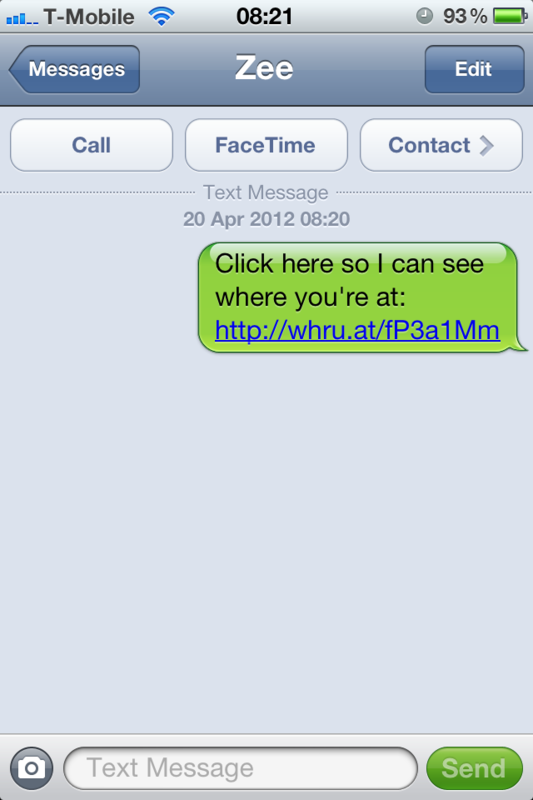 It’s a process that takes just seconds, and the only potential cost is that of a text message (for you, the sender). The recipient obviously needs a device with a data connection and a GPS chip, so it won’t locate your mum’s 10-year-old Nokia. 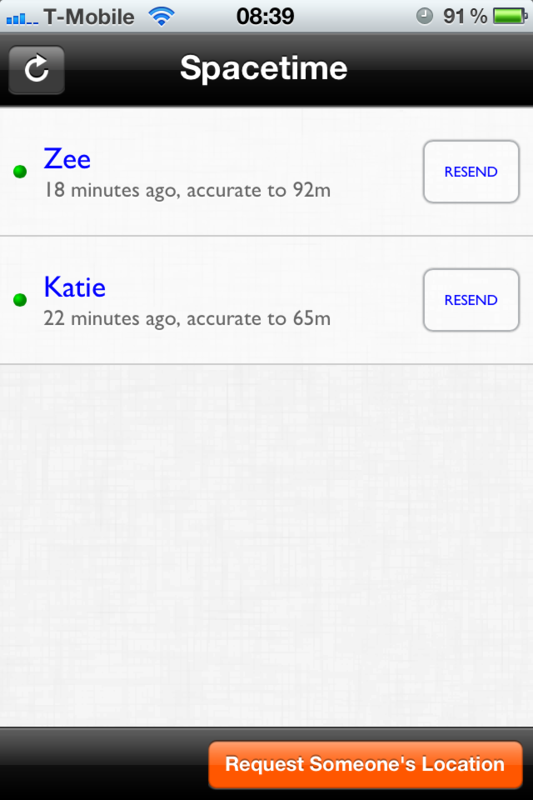 Space-time prompts for a user’s permission each time their location is requested, and if you don’t want to click the link, you don’t have to. 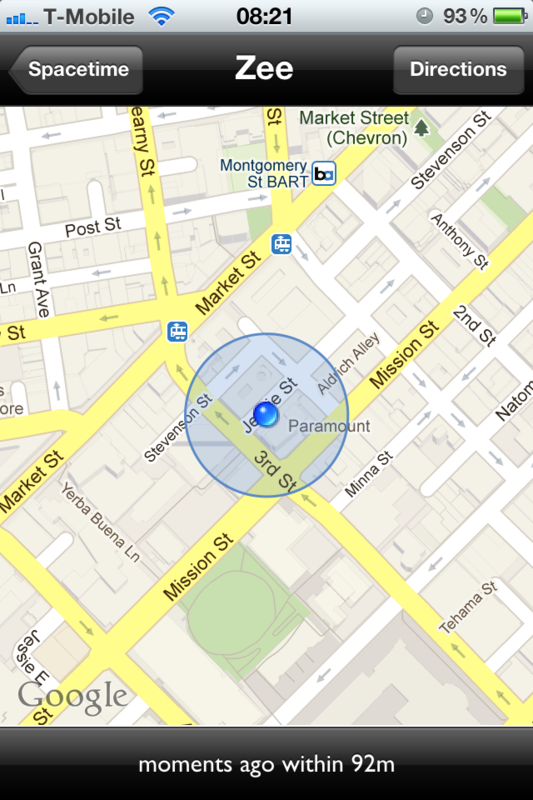 It’s not like Latitude and Find My Friends, which can poll a location at any given time. The app could be a perfect solution for surprise birthday parties, where a message is sent to a friend to disclose their location and notify people how long it will be until they return. But really, it’s more than that, it’s a guaranteed way to locate someone regardless of their smartphone OS using your iPhone, and all it takes is a text message. Space-time is a free app that is iPhone-only at the time of writing.